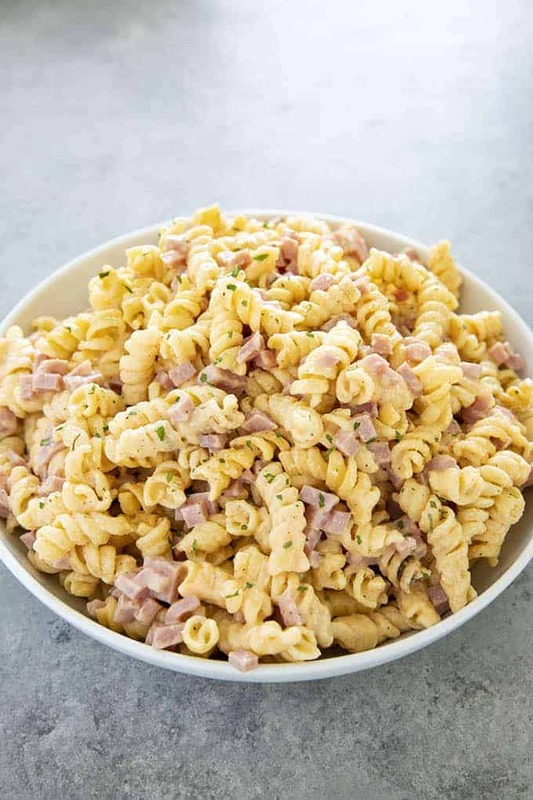 Ham & Cheese Instant Pot Pasta is so creamy, cheesy, and delicious! One of our favorite Instant Pot recipes for a quick family pleasing dinner! My Instant Pot Mac and Cheese has become one of the most popular recipes around here! We love how easy it is to skip the box and have a cheesy and filling pasta on the table fast. 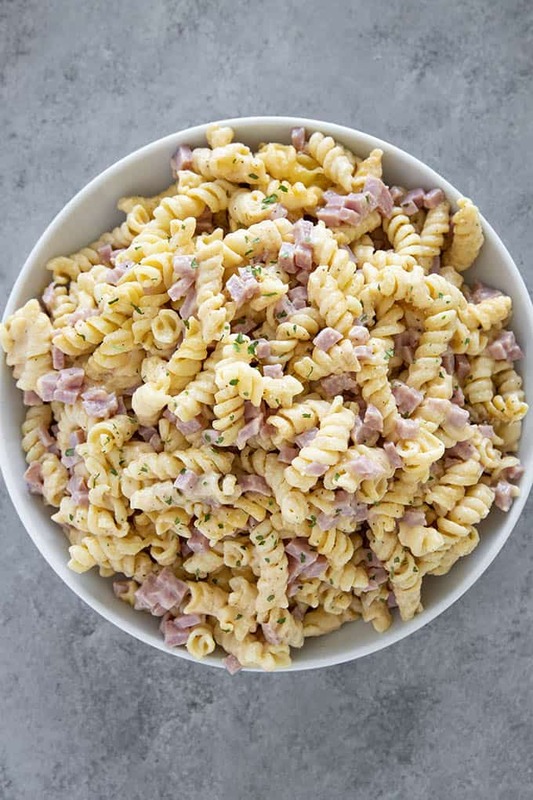 Since you guys love the mac & cheese so much, I wanted to do another pasta in the pressure cooker, but make it with meat so that it’s more of a meal. 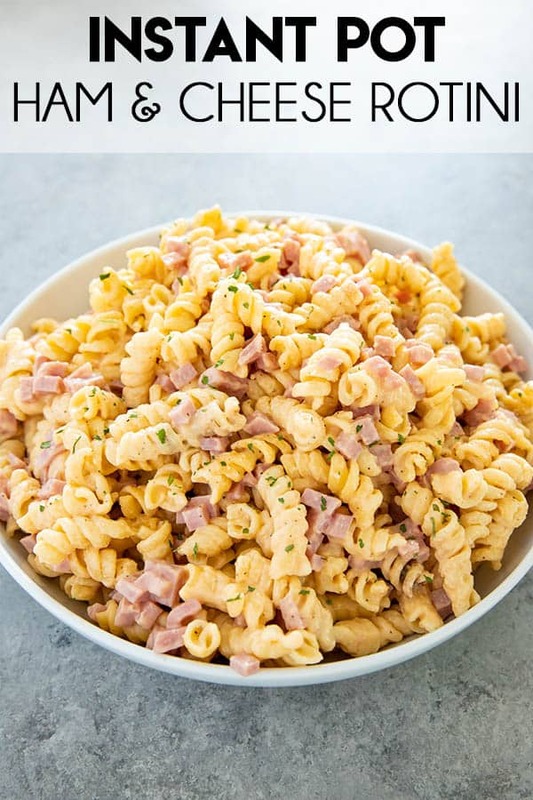 We love ham, and I always keep a package of diced ham in my fridge, but you can make this with leftover ham too! As you can see, I did change this up a bit from my regular macaroni and cheese. We used rotini, and I’m loving how it really stays firm to the bite. 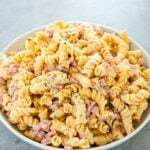 I tested several different times on this to get it right, and the rotini really holds it shape and texture well. I used a large package of the smaller diced ham, cubed is fine too. Instead of several shredded cheeses I used cheddar only, along with cream cheese and sour cream. It’s super creamy and really has a nice seasoned flavor! 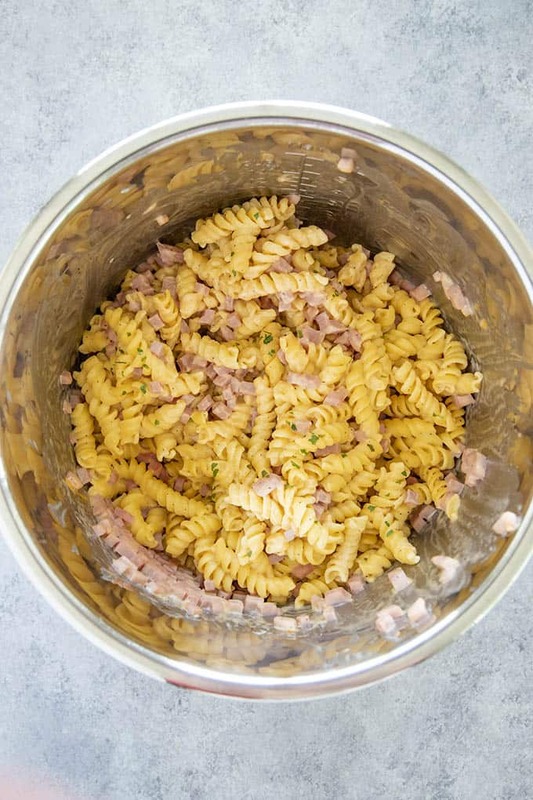 Simply add your rotini right to the bottom of your Instant Pot. Pour over the chicken broth, water, hot sauce, and seasonings. No need to stir. Place the lid on the pot and set the valve to sealing. Cook on manual/high pressure for 5 minutes, then carefully open the valve and do a quick pressure release. Open the pot and stir in the diced ham, cream cheese, and sour cream. Next, stir in the milk and the shredded cheese. Stir in the cheese 3 handfuls at a time, stirring in between each addition. Serve this with your favorite veggies! We love to have it with a simple green side salad. If you’d like it’s also great with the Best Green Beans or even Oven Roasted Carrots! Add the uncooked rotini along with the chicken broth, water, hot sauce, garlic powder, salt, pepper, and ground mustard to the pot. Place the lid on the pot and set the valve to sealing. Cook on manual, high pressure, for 5 minutes, then do a quick pressure release. Carefully open the pot and stir in the diced ham, cream cheese, and sour cream. Next, stir in the milk, then add the cheese 3 handfuls at a time, stirring in between each addition until smooth. *NOTE: The hot sauce does not make this recipe spicy, it adds great flavor! Looks Inviting! Thanks for sharing.